The International Space Station Mission Control Team continues evaluating a power channel failure aboard the orbiting outpost that knocked out one of the Station’s eight power channels last Friday, just before the six crew members were expected to head into a quiet weekend. Mission Controllers transitioned to a safe configuration and recovered all systems that were affected by the power loss and progress was made to diagnose the failure signature that occurred within the 1B power channel. 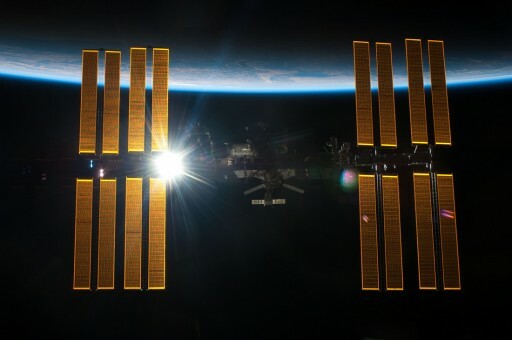 The crew of ISS and Controllers in Houston were alerted to the power outage around 17:55 UTC on Friday when the 1B Direct Current Switching Unit tripped due to a short within the power channel, cutting power to all systems powered by this particular channel. 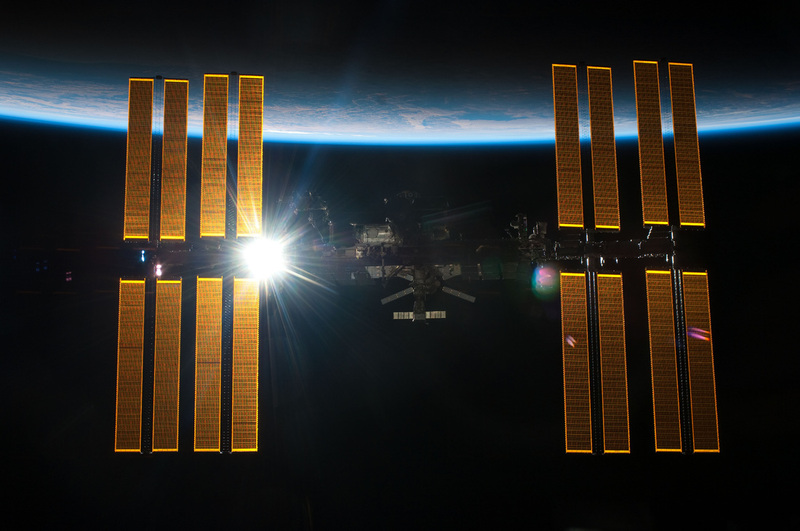 Master alarms sounded as Command and Control and Guidance Navigation & Control Multiplexer/Demultiplexers switched to their backups to keep ISS in an operational state. Other systems that were affected included cabin air conditioning equipment, smoke detectors, communications units and the Oxygen Generator Assembly as well as a number of payload systems. Mission Control responded with a standard procedure and tied the loads of the 1B channel to the 1A channel within the Main Bus Switching Unit which restored power to systems. 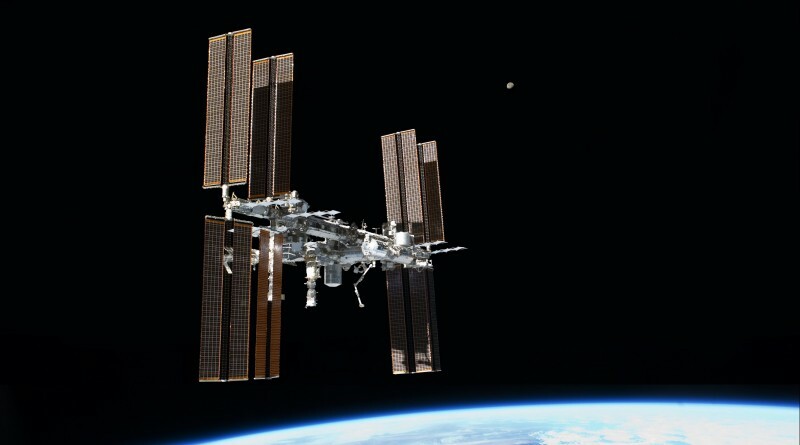 Teams spent the overnight hours re-powering systems to return ISS to a good configuration in which no impacts are expected to crew operations. 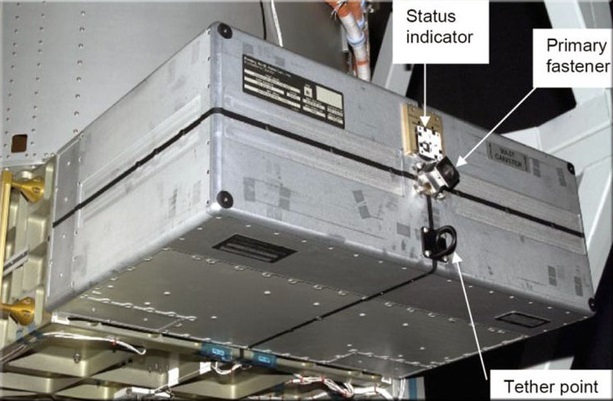 Mission Control began an extensive evaluation of telemetry data to understand what triggered the Direct Current Switching Unit’s Remote Bus Isolator 1 to trip open. Initial analysis pointed to a short upstream from the Direct Current Switching Unit, likely within the Sequential Shunt Unit. 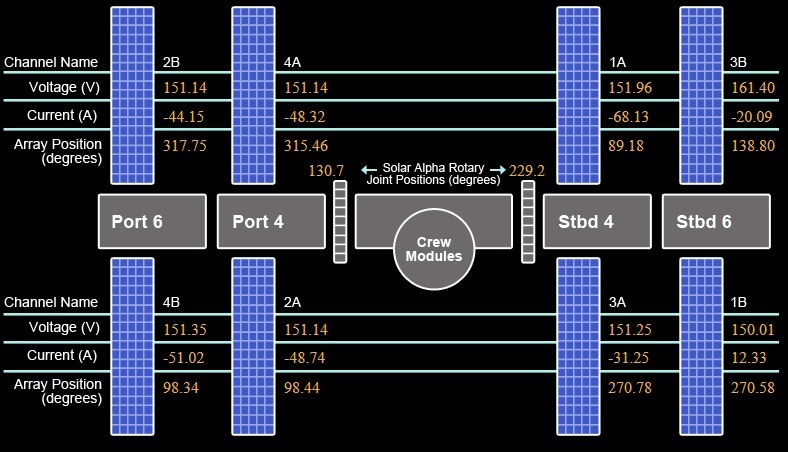 Power from the 1B Solar Array Wing was shunted to avoid feeding power into a shorted system. Further analysis of data showed that Sequential Shunt Unit (SSU) 1B may not be able to regulate voltage. Without being able to provide a stable voltage to downstream systems, the SSU will not be reconnected to the power bus. The Sequential Shunt Units are responsible of receiving power from the solar arrays and regulating power coming from the arrays at an established setpoint of 160 volts. This is accomplished by shunting and un-shunting strings on the array as the output power of the SSU is the sum of all connected strings. When the SSU output power exceeds the current power demand of ISS systems and batteries, the bus voltage begins rising which triggers the SSU to begin shunting strings to reduce power output. A dropping bus voltage triggers the SSU to un-shunt strings. If this regulatory capability of the Sequential Shunt Unit can not be recovered, a replacement of the unit would be possible as part of a spacewalk. A similar SSU replacement was performed in October 2014 when the 3A SSU was removed and replaced by spacewalkers Reid Wiseman and Barry Wilmore. Currently, Mission Control is able to manage the power balance for the foreseeable future if no other failures within the system occur. The next-worst failure, a scenario evaluated by Mission Control in the event of any systems issues, would be a fault within power channel 1A which would cut power to a number of redundant systems of ISS and leave several command/control as well as guidance/navigation systems operating on a single string only. Teams are continuing to assess how to configure ISS for the best risk posture and work continues to evaluate whether the 1B SSU can be recovered through commanding from the ground or whether a spacewalk will be required.